I couldn't resist checking out the town of Happy, Texas. Luckily we arrived late afternoon and the light was golden and sharply angled. 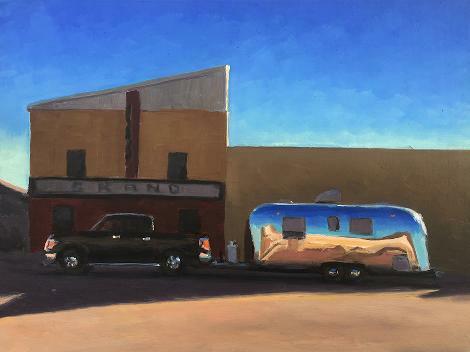 We parked the truck and Airstream in the shade, in front of the movie theater and the bank, and it reflected the row of shops from across the street that were brightly lit up. oil on canvas panel in a black and gold leaf frame.